What Did the "Stamp" in "Stamp Act" Actually Refer To? Photo credit: By Board of Stamps (engraver unknown) - http://www.bl.uk/onlinegallery/onlineex/ philrar/a/010us000rev1765u00001000.html http://arago.si.edu/index.asp?con=2&cmd=1&id=89423 Given that stamps today usually refer to those adhesive squares that you place on letters, it wouldn't be a surprise to find people assuming the Stamp Act referred to the mail. However, it referred to special tax stamps added to pieces of paper. 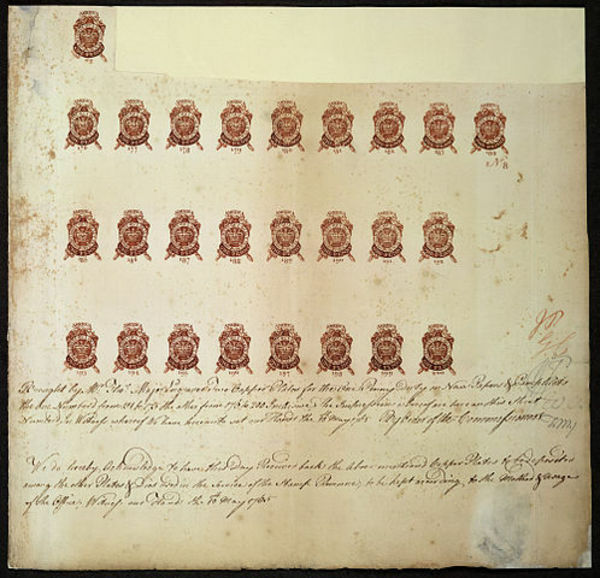 The British government wanted to raise funds after some spectacularly expensive wars and decided to require all colonists to pay for a special stamp that would be added to all printed paper goods and then some (even dice required the stamp). Colonists couldn't pay for one mass stamp; every bit of printed paper needed one, including such personal items as wills. Imagine having to get all your bills, your lease, your tax forms, and even birthday cards individually notarized, and you have a good idea of how expensive and annoying this would have been for the colonists. 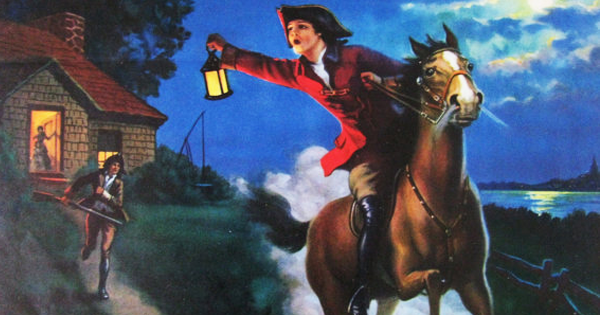 What Group Was Created to Fight Against the Stamp Act? The Sons of Liberty, which was formed in protest to the Stamp Act, became famous because of the Boston Tea Party. Image source: WikiCommons It is believed that passage of the Stamp Act was one of the reasons the Sons of Liberty was formed. One delegate to the Stamp Act Congress, Samuel Adams, is frequently credited as the founder of this secretive paramilitary organization. "No Taxation Without Representation," was the group's motto. Originally, chapters were established in 1765 in Boston, home of Samuel Adams, and New York City. Sons of Liberty chapters soon spread to all 13 colonies, particularly in Virginia, the Carolinas and New England. The flag designed to represent the group had vertical stripes in red and white. Their tactics consisted of mob rule, intimidation, force, and in some cases, tarring and feathering. 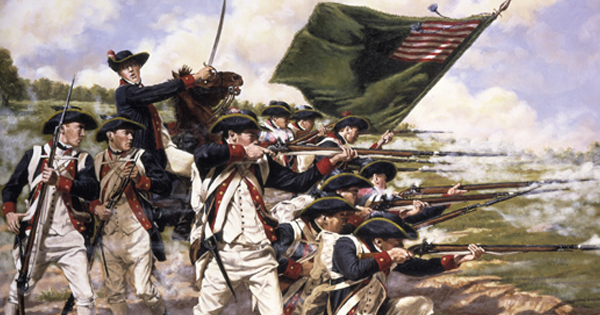 They also stockpiled arms and gunpowder, which undermined British rule in the colonies. 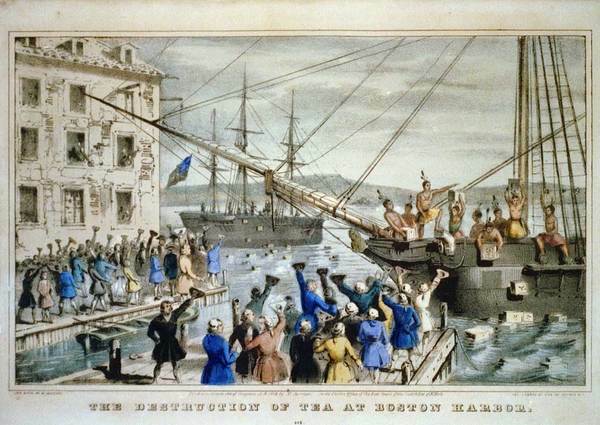 Probably the most famous act instigated by the Sons of Liberty was the dumping of tea in Boston Harbor in 1773, which became known as "The Boston Tea Party." Why Was the Stamp Act Repealed After Only One Year? The Stamp Act didn't last long — it was repealed in March 1766 — because it was too expensive and led to riots that put British colonial officials' lives at risk. Enforcing the act took more money than the stamps brought in, which didn't help British coffers at all. Colonists were so outraged by the act, too, that they attacked the tax collectors and those collectors' property, and the colonists boycotted British goods as well. It still took some convincing to get the British to back off — Benjamin Franklin even addressed the House of Commons — but they eventually repealed the act. Unfortunately, they then passed another law called the Declaratory Acts, which gave the British government even more power over the colonies. Why Was the Stamp Act Essentially the Last Straw for Colonists? The Stamp Act came on the heels of the Sugar Act, the Currency Act, and the Quartering Act, all of which led to poor economic performance in the colonies and created invasive conditions (the Quartering Act required colonists to house British troops and feed them, with no say from the colonists affected). The Stamp Act was the act that led to colonists discussing taxation without representation, and the success of the rebellion demonstrated that the colonists didn't have to take whatever the British government gave them.